leftover hardboiled eggs and some mayo are all that are needed for this light but flavorful dish. 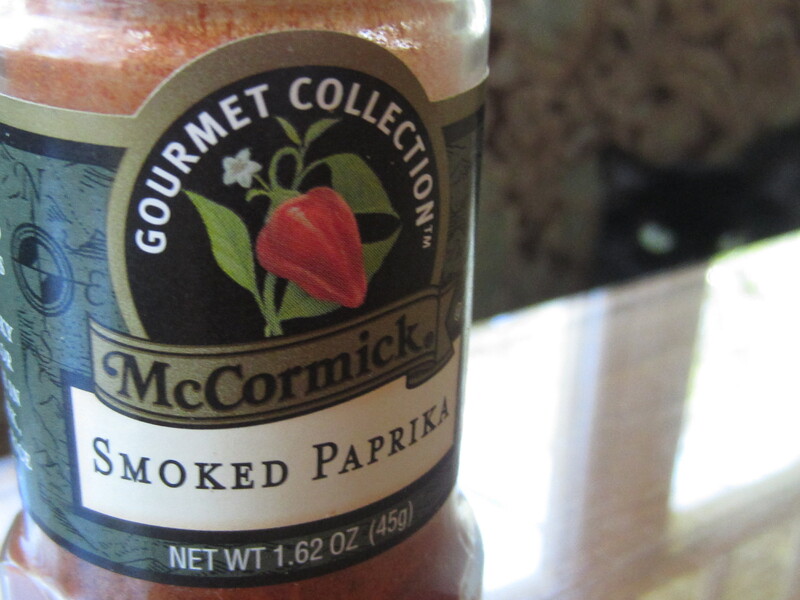 Don’t let a lurking cat steal your smoked paprika. You won’t be able to stop eating these! 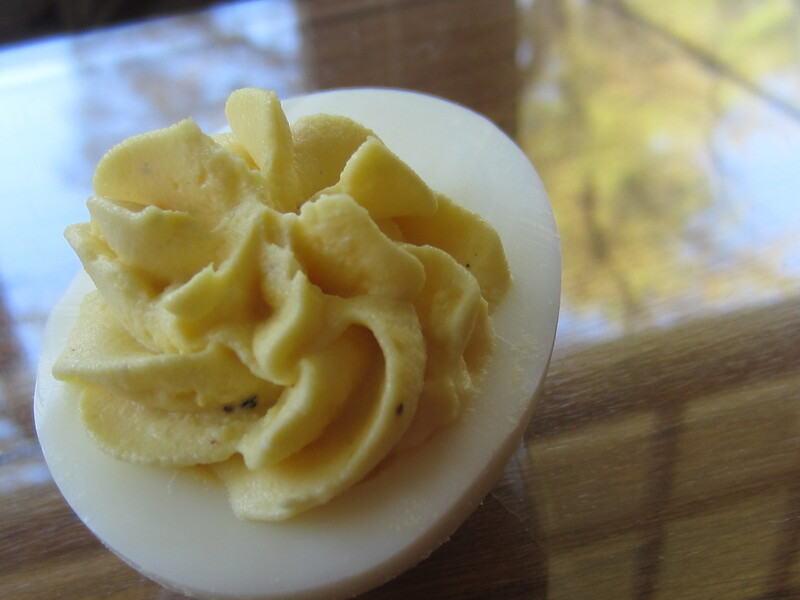 Cut the eggs in half lengthwise using a sharp knife. Remove the yolks and place in a small bowl, ensuring that the whites stay intact. Add the mayonnaise, a few pinches of salt and pepper and beat with a handheld beater until very smooth. The mixture needs to be smooth in order to be piped neatly back into the egg whites. I used a pastry bag and an open star tip, but you can easily substitute a ziplock back with a corner cut off. 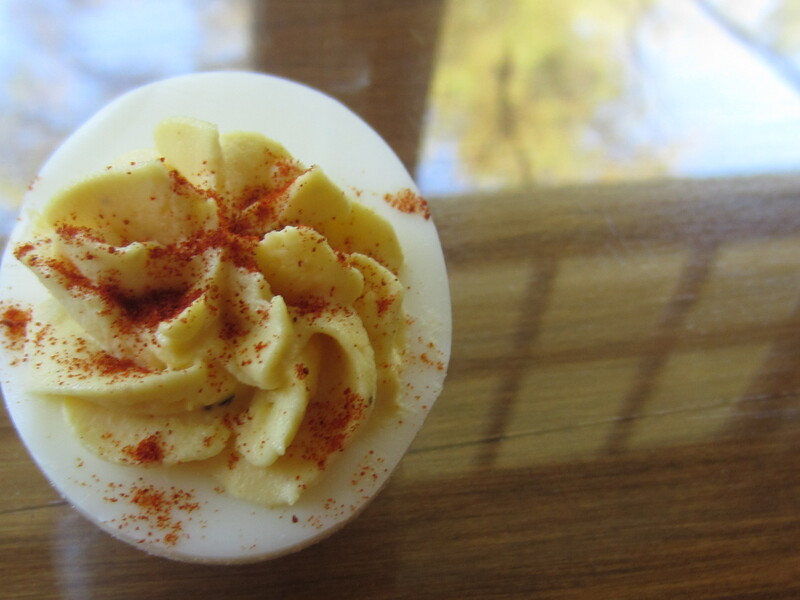 Pipe the beaten yolks into each egg white, and sprinkle with paprika.